Absolutely over the moon to have had this delivered. 3rd Place in Derbyshire Times Salon of the Year. Well done to my amazing team for all their hardwork, and Thankyou so much to our incredibly loyal customers for all your support. 😘 It means so much to have this recognition. 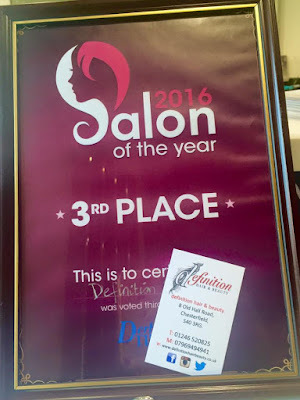 Definition Hair & Beauty Salon. Ethereal theme. Powered by Blogger.